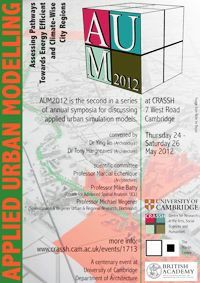 CASA researchers were out in force at the AUM 2012 meeting in Cambridge last week, organised by the urban modelling group at the Martin Centre. It was an enjoyable meeting, with a good range of participants from both academia and built-environment practitioners. I’ll discuss some highlights from my own GIS and visualisation perspective. It was great to see Paul Waddell present UrbanSim, which is a well established and popular open source platform for land use transport modelling based on microsimulation. Current improvements include adding 3D visualisation capabilities and pedestrian accessibility. Paul also had a demo of an impressive new urban design tool using a procedural architecture approach similar to CityEngine. 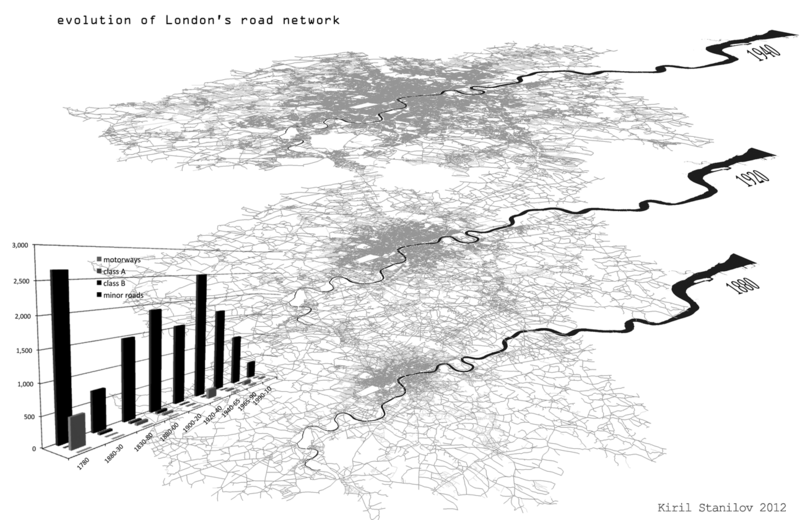 Colleagues at CASA Camilo Vargas and Melanie Bosredon are developing an UrbanSim model of London, so we will be returning to this software in future posts. Andres Sevtsuk from City Form Lab MIT presented on modelling retail locations from a street network Space Syntax type approach. His team have developed an Urban Network Analysis tool for performing measures like Betweeness and Closeness within ArcGIS. This tool is also open source and it’s great to see so much interesting software going down this free to access route.